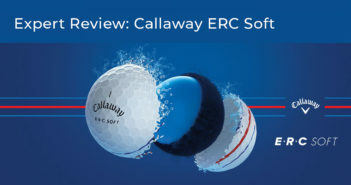 Whether you are dialing in the distances on your clubs, or not sure how far it is to carry that water hazard, laser rangefinders can be a golfer’s best friend on the course. Like a pocket-sized caddie, rangefinders can help give you the confidence to take on a shot, or appeal to your discretionary senses and nail down the perfect layup distance. There are many options when it comes to rangefinders, most conform to tournament standards, but some have additional features that are not legal in competition play. 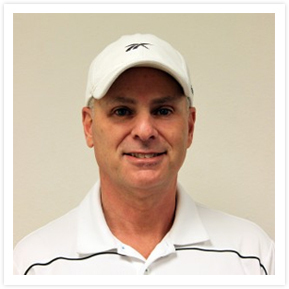 Take a look at the 2015 Laser Rangefinders’ Guide and find the unit that best fits your game. 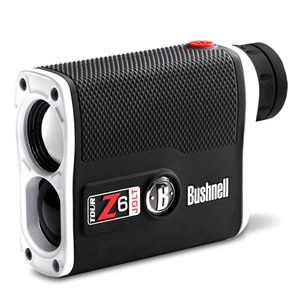 The Bushnell Tour Z6 Jolt is on the high end of Laser Rangefinders, and for good reason. Its 6x21mm scope gave me clear views of all my targets, near and far. I really liked the vivid bright red OLED display contrasted against the slightly green colored lens. 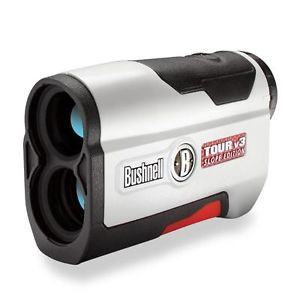 More of a mid-size unit, I found the Bushnell Medalist to be the perfect size for a Laser Rangefinder. I find with this size that my hands can be more steady than the sub-compact versions. I was still able to locate my targets with a 4x magnification, and use the PinSeeker technology to quickly lock onto my targets from 300 yards and in. 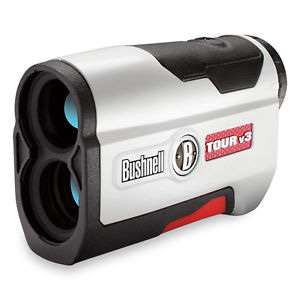 The Bushnell Tour Z6 Jolt is on the high end of Laser Rangefinders, and for good reason. I found the unit to be very sturdy, well built, and offers a second-to-none deluxe carry case. Its 6x21mm scope gave me clear views of all my targets, near and far. I really liked the vivid bright red OLED display contrasted against the slightly green colored lens. I was able to lock into my targets and get a quick read out of my yardages, which was confirmed by a small jolt. The Bushnell Tour Z6 Jolt, with its great looks, compact size, and slick carrying case make this an excellent unit for walkers who enjoy fast and accurate readings while shooting multiple targets. Of course, this rangefinder can be used by riders also, but the Tour Z Jolt is perfect for those that like to walk the course. 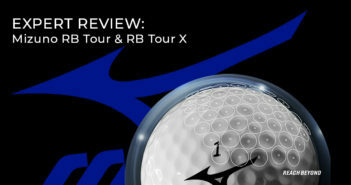 Not much to dislike about the Tour Z6 Jolt. Compact, sturdy, fun, and easy to use. The Tour v3 Slope Edition is a compact unit with 5x magnification that easily allows you to pretty much shoot any target needed out on the course. I found locking onto my targets was easy, but also found with its compact size that I had a harder time holding it steady. It took me a few seconds longer to lock down a reading than the slightly larger versions. The slope, which is not legal for Tournament use unless otherwise posted, is the only holdup I had in terms of everyday use. With its lightweight and compact size this is an excellent unit for walkers, especially those that carry, though riders will find its application great as well. The Tour v3 Slope Edition is an excellent choice for players who aren’t looking for a top of the line unit with all the bells and whistles. Steady hands are needed to pick up the targets quickly. The Tour v3 is a compact unit with 5x magnification that easily allows you to pretty much shoot any target needed out on the course. I found shooting my targets was easy, but also found with its compact size that I had a harder time holding it steady. It took me a few seconds longer to lock down a reading than the slightly larger versions. With it’s lightweight and compact sizing this is really an excellent unit for walkers, especially those that carry, though players who ride will find it great as well. The Tour v3 unit is an excellent choice for those not looking for the top end units with all the bells and whistles, though steady hands will be needed to pick up the targets quickly. Players who do not have the steadiest hands will enjoy the size, as it’s not too small, nor too big. With the mid-size shape comes more weight, but so much extra weight that the walker would experience a noticeable difference compared to the smaller, lighter versions available. 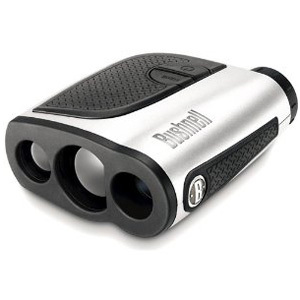 I have used the Bushnell Medalist Rangefinder for years. I am rarely interested in targets past 300 yards, so the 4x magnification does not bother me. I needed something that was light enough to carry, yet large enough for me to find my target quickly, and with accurate readouts. The GX-1i is compact Rangefinder with some very nice features like a 6x23mm setup, and bunch of different modes that can be very useful under various conditions. For some reason, the green color made me think of hunting rather than golf when I first took it out of the box, but after that it was all about golf. One of the modes that really caught my eye was the Fog/Rain mode. With its lightweight and compact size, this is an excellent unit for walkers, especially those that carry, though players who ride will find this great as well. A great choice for those that do not play in perfect weather all the time. Even though the Green made me think hunting, I found this to be an excellent unit with plenty of nice features. 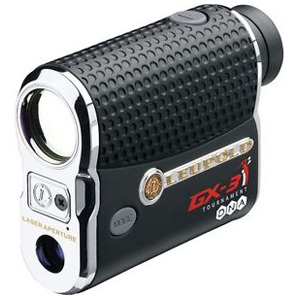 It’s an excellent step down from the other high end units that Leupold has to offer. The GX-3i2 is a super-compact rangefinder with some very nice features like a 6x22mm setup, and bunch of different modes that can be very useful under various conditions. The unit, which is quite small and solidly constructed, comes with a very nice carry case for protection from you and the elements at all times. One of the modes that really caught my eye was the Fog/Rain mode. With its lightweight and compact size, this is really an excellent unit for walkers, especially those that carry, though players who ride will find this great as well. 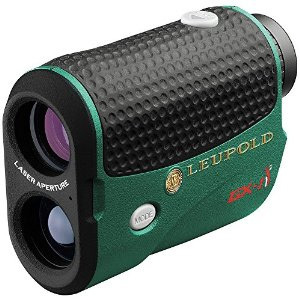 This rangefinder is an awesome choice for those that play in less than perfect weather conditions all of the time. Players with exceptionally steady hands will love this unit. If you have steady hands, this super-compact, well built unit is about as good as it gets. Some great features/modes, an excellent visual experience, and the brilliant red OLED display really helps lock in your targets super quickly. 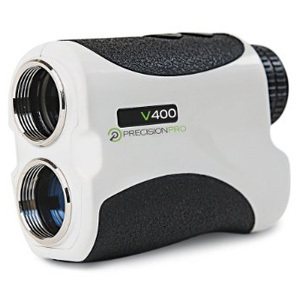 The Precision Pro V400 is a simple, compact, easy to use rangefinder. I was able to see my targets clearly and lock into them quickly with its 6X magnification. Its ergonomic shape on the bottom side of the unit fit in my hand quite nicely. Another great compact unit that is lightweight and great for walkers. Of course, this unit can be used for anyone looking for a simple, no frills, compact unit that works smoothly. As with most compact units, a steady hand is needed to lock into your target. While the Pro V400 unit offers little in extra features it gets the job done quite well. However, I did find it to be a few yards shorter than a major competitor’s unit throughout my round. The V3 jolt looks like a good replacement for my 6 year old Bushnell. But it is still working fine.